It can crush a fledgling band like a series of ACME anvils falling onto Wile E. Coyote’s head. Some groups, however, manage to sidestep the blows, performing under pressure with a little more grace and dexterity than a certain careless coyote (whose monthly shipping and handling bills must be outrageously expensive). 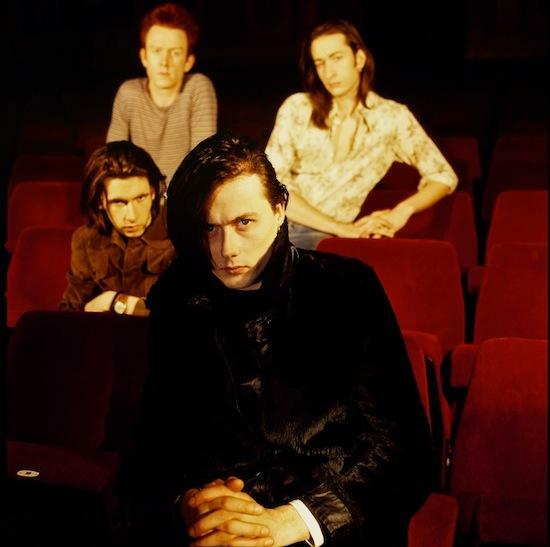 Suede formed in London in 1989 when a boy, his girlfriend, the boy’s childhood friend, and a drum machine, started playing covers of Roxy Music, David Bowie, and The Smiths. They eventually added a 19-year old guitar wizard through a Musicians Wanted ad, and then kicked out the drum machine when they found a human replacement. The hip and trendy bands at the time sported a 60’s vibe with a patina of psychedelia, but Suede turned up the guitars to 11 and brought a dark and dangerous glam to the stage. They couldn’t get arrested for the first couple of years, but when the lead singer and the rhythm guitarist broke up (she went on to form Elastica), the band solidified its sound and record companies came a-calling. In 1992, Melody Maker magazine put Suede on their cover with the headline “Suede: The Best New Band in Britain” — before the group had even released its first single — and suddenly the expectations were astronomical. Despite the attention, however, their debut single failed to crack the Top 40 in the UK and murmurings of “overhyped” and “overrated” began to circulate. The murmurs would quickly be silenced. 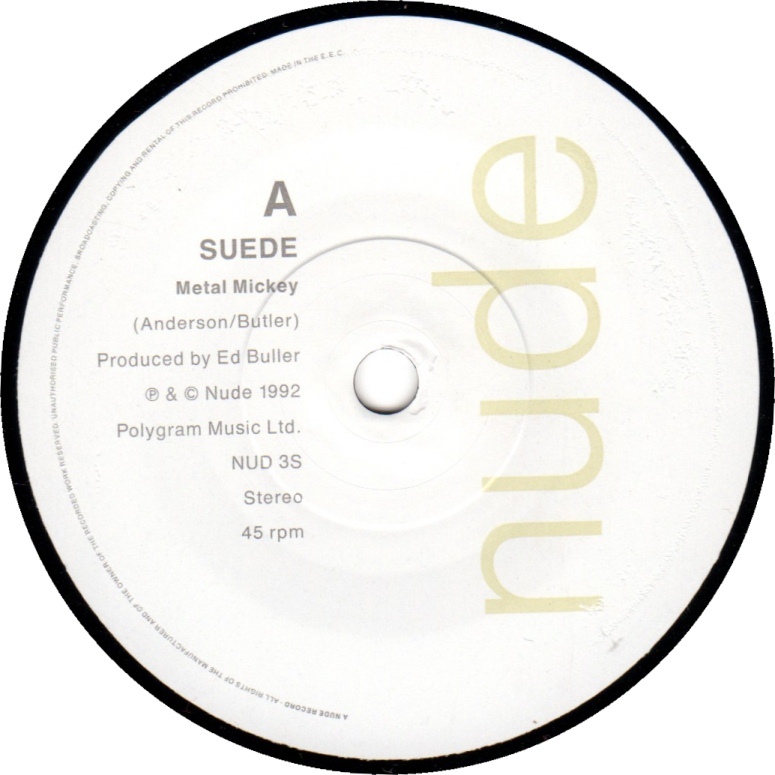 Released as Suede’s second single in September of 1992, “Metal Mickey” reached the Top 20 in the UK and is still the group’s highest charting song in the US. This love song about hearts and meat began a string of 19 consecutive Top 30 hits over the next decade. The band’s first full-length record dropped in the spring of 1993 — unofficially beginning the Britpop revolution — and became one of the fastest-selling debuts ever in the UK. Anvils averted. So shake your money in time. And show it off … with Suede.